About my upcoming surgery — finally scheduled for May 14th — well, I’m thinking about a two-part narrative on this subject so that these posts don’t get too long. For many months I have endured severe neuropathic pain that has been getting steadily worse. Actually, the pattern became apparent in Miami about a year ago. 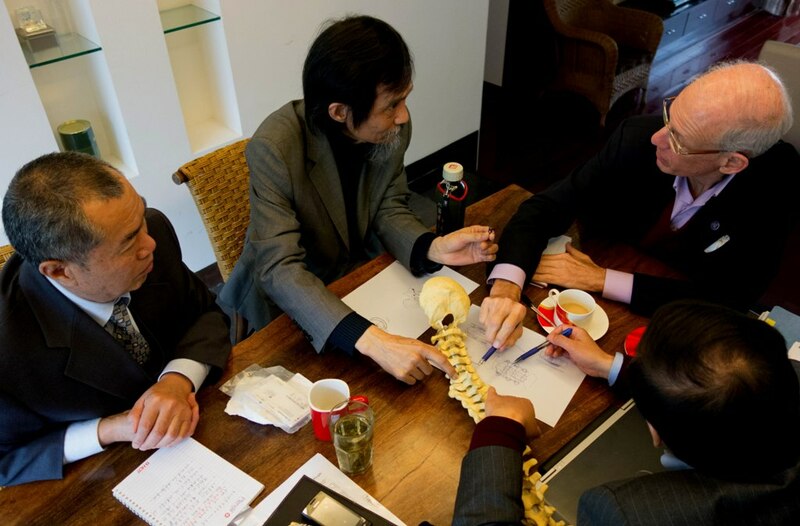 The view of my top medical team here (Dr. Liu Yansheng and Dr. Zhu Hui) is that my pain is caused by a combination of a so-called “tethered” spinal cord + a fluid-filled cyst growing on the anterior (front) side of my spinal cord. The feeling is that the cyst, which runs from C-5 down to my C-7 vertebra and now occupies more than 50% of my spinal cavity, is likely the major cause of my pain. Further, sequential MRIs reveal that the cyst is growing, and this may account for why the pain keeps getting worse and lasting for more hours each day. For example, between December 5, 2012 and April 13, 2013 (about 18 weeks) this cyst grew from 2.7 cm to 3.6 cm, an increase of more than 30%. Day and night this cyst not only presses hard against my spinal cord, causing neuropathic pain, but there is also MRI evidence that the incessant internal pressure is causing further degeneration of surviving tissue inside my spinal cord. 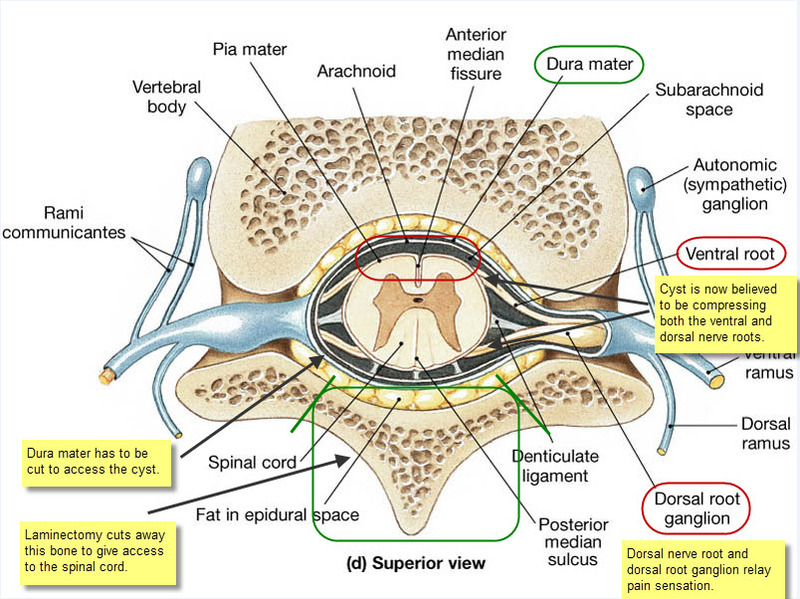 The surgery being proposed turns out to be seriously tricky because the cyst is on the anterior (front) side of my spinal cord, whereas surgical access is only possible from the back side – so-called dorsal entry. This means that between the point of surgical entry and lancing this cyst there are not only three intact vertebrae that have to be cut away but also the actual spinal cord itself is in the way. Some obstacle course! We have learned that few neurosurgeons anywhere in the world have experience with a procedure this complex — some would say even “daring” – and even fewer apparently would be willing to attempt it. Fortunately, members of my 5-man team (actually one superwoman, Dr. Zhu Hui) are all Kunming PLA Hospital veterans who have performed this kind of surgery hundreds of times and exude confidence they’ll pull me through this just fine. Tomorrow I’ll go through details of the surgery that has been proposed as well as how the recovery is expected to play out … and also how resumption of vigorous rehabilitation just 15 days after surgery is anticipated to play a significant role in my recovery. Fortunately, there is a wonderful Chinese patient, Nu Jia, from Guangzhou who is here alongside me in the program, and she went through pretty much the same surgery for the same reasons in February 2012. Nu Jia’s car wreck injury (C5/6 ASIA A Complete) appears to have been even worse than my own, suffering a near-complete transection of her spinal cord. But today she is pain-free and making great progress, not only with walking but has also recently regained bladder control. So there’s a lot to play for once I get over this hurdle! I’ll do my best to describe my upcoming surgery — finally now scheduled for May 14th. I hope the illustration here helps a little, as this is pretty complicated to describe without a visual. 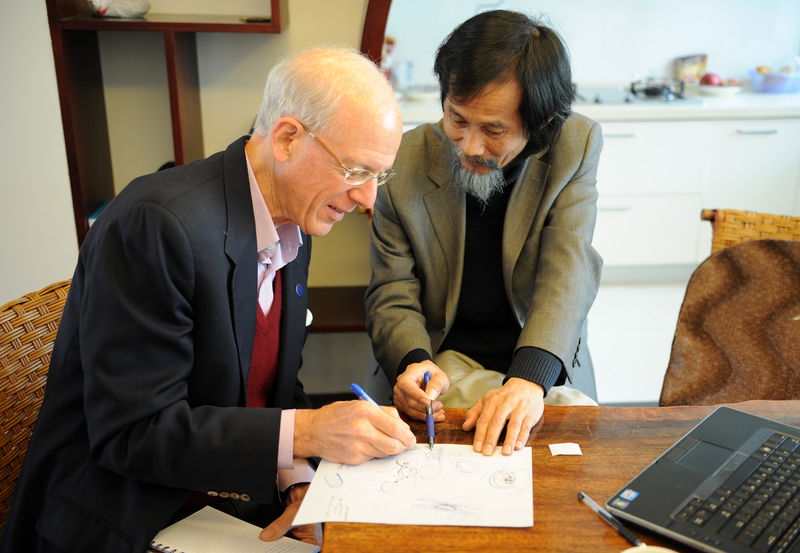 In fact, in my Dad’s meeting with our Kunming neurosurgical team and core advisers last week, he had the benefit an actual skeleton that enables a 3-D understanding of the surgical procedure. Anyway, the objective here is to reach the fluid-filled cyst on the anterior (front) side of my spinal cord in order to cut it open and drain the fluid, thereby decompressing my spinal cord. 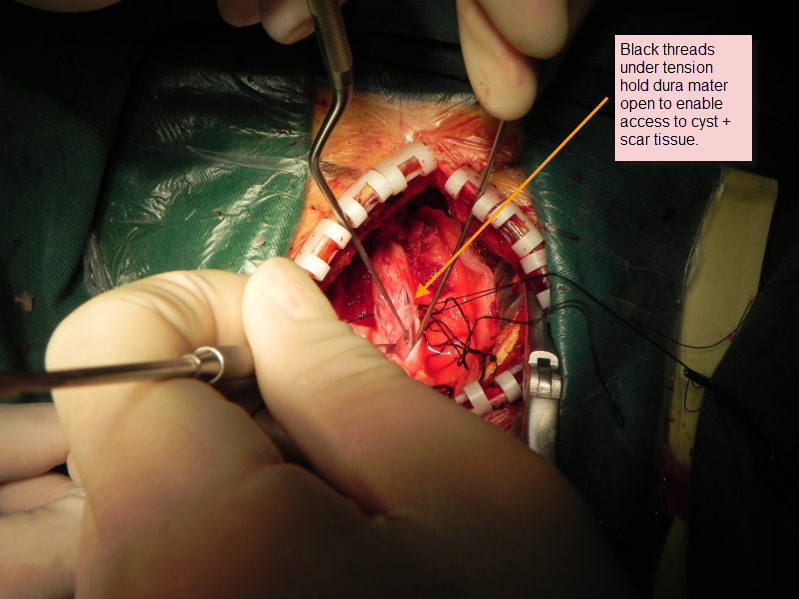 To gain access to my spinal cord, the surgeon needs to create as wide an opening as possible. This surgical procedure is referred to as a “laminectomy” because it involves removal of as much as possible of the lamina (bone) on both sides. 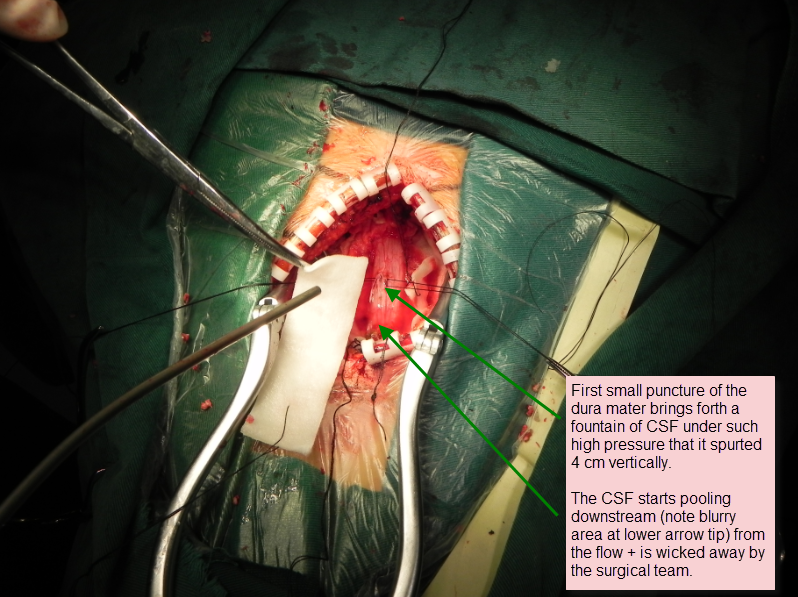 However, because a major artery passes through the articular process on either side of the lamina, there’s a limit to how far the surgeon can go – roughly indicated by the angled green lines shown above. 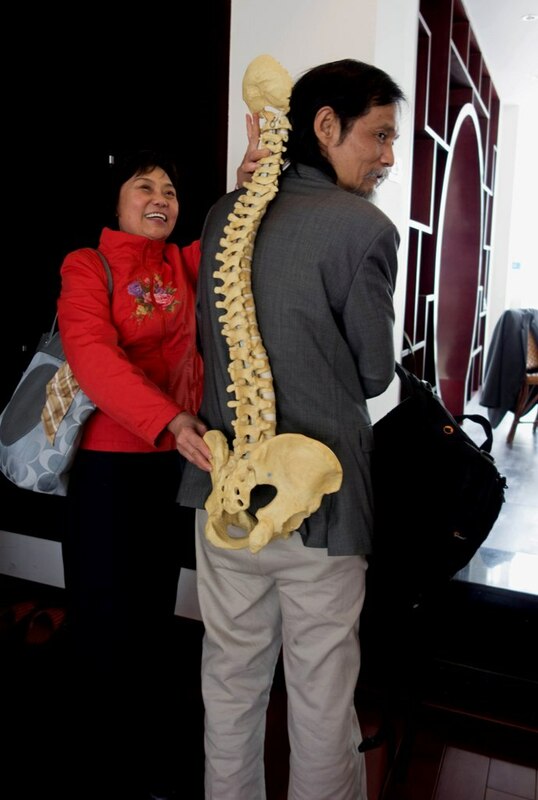 Next, the chief neurosurgeon, Dr. Liu Yansheng, will have to decide whether to approach the cyst by making his way to the left or right around my spinal cord. Once a path has been decided, he will have to cut open the Dura mater and then cut ligaments that hold the spinal cord centered, pushing aside my spinal cord very, very gently as he goes. I hope the following illustration gives you some idea of what’s involved here. Now comes the super tricky bit … absolutely no room for error or I’m toast. Once Dr. Liu has worked his way round to the cyst, which is now relatively much larger than illustrated here, occupying about half my spinal canal, he cannot simply remove it because of the risk of tearing the Pia mater that encloses what remains of my spinal cord. So he’ll have to cut the cyst longitudinally, sort of like slitting a balloon so it can never again hold water. Along the way, Dr. Liu will also scrape away and remove scar tissue from my original injury, thereby “untethering” my spinal cord and restoring CSF (“Cerebral Spinal Fluid”) circulation. Restoration of free CSF circulation, being no longer impeded by either scar tissue tethering or cyst, together with spinal cord de-compression by draining of the large cyst … these advances are both believed to be critical to achieving the optimal results from the Kunming Walking Programme. But at this point, frankly, I’d settle simply for cessation of the persistent severe neuropathic pain that makes it pretty much impossible for me to focus on anything else. 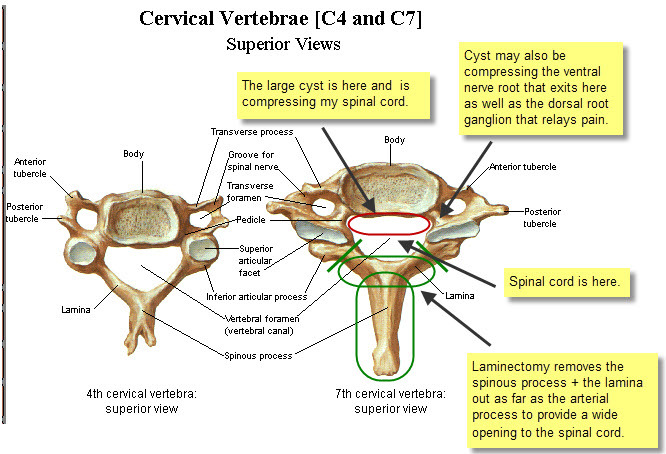 Now, of course, cutting away so much bone critically weakens the spine, and in my case the surgeon will have cut away altogether significant parts of three vertebrae … C-5 through C-7. So once this access “door” has been cut open, there’s an obvious need to build a frame around the opening to reinforce the spine. This requires the installation of titanium rods and screws – two vertical rods and one horizontal rod to provide lateral rigidity, held in place by six screws. After the cyst has been cut and tethering scar tissue removed, the Dura mater is sutured back together, and then the titanium rods and screws are installed. Then my neck muscles will be pulled back over the titanium framework, and finally they’ll suture my skin back in place. 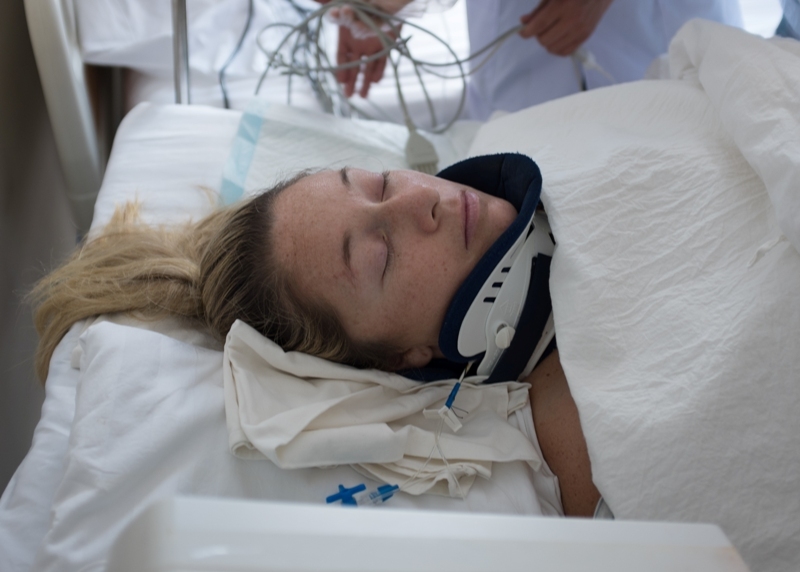 Two or perhaps three days in intensive care are followed by two weeks of bed rest. After about 15 days, I will be expected to rejoin the Kunming Walking Programme! 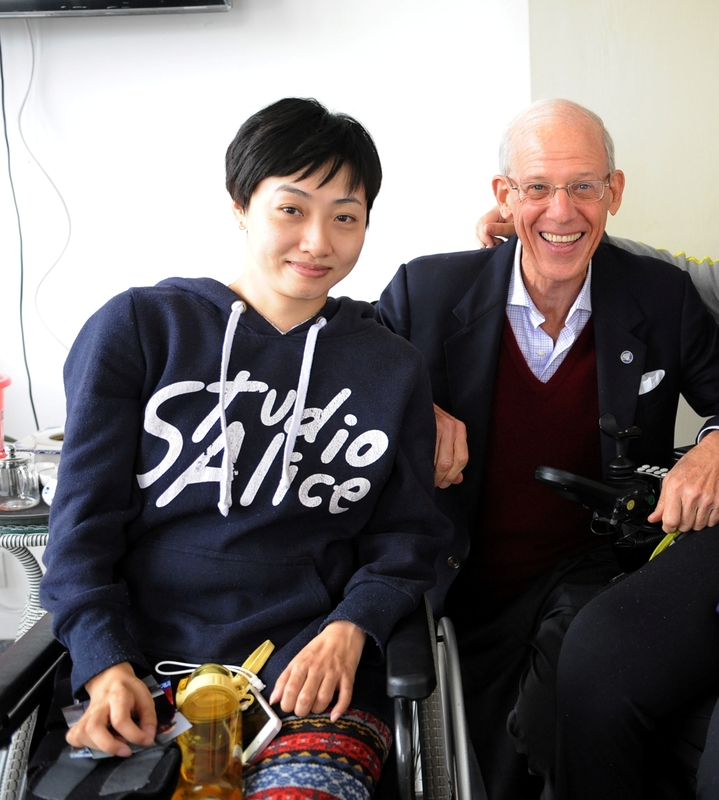 My great new friend, Nu Jia, from Guangzhou, underwent pretty much identical surgery with Dr. Liu on February 18, 2012, and she was actively enrolled in Dr. Zhu Hui’s rehabilitation programme by March 8th. The idea here is that robust rehabilitation is key to rapid recovery and eventual restoration of useful motor function. 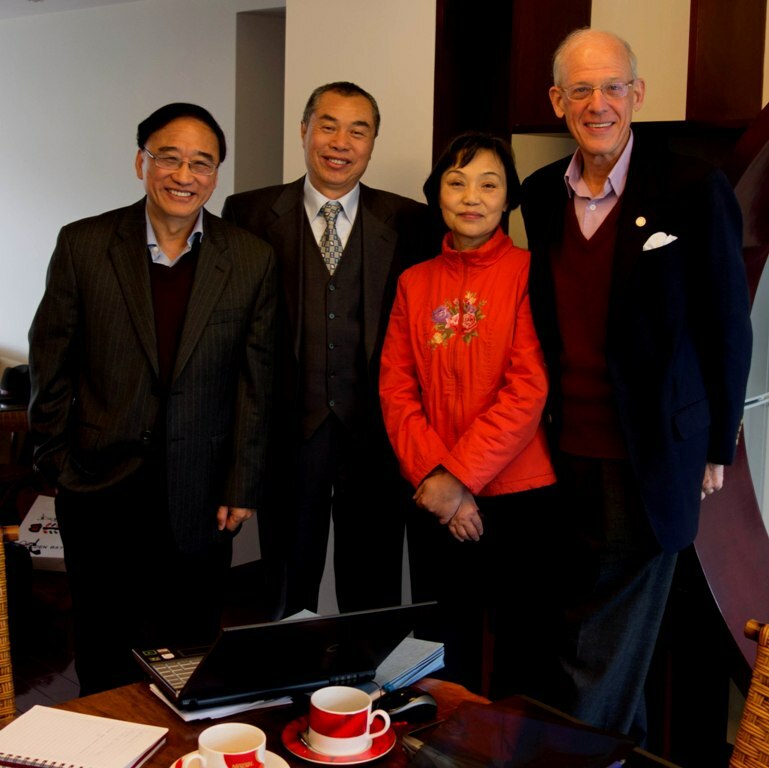 The great team of advisers who have helped me make the decision to go ahead with all this include my tireless Dad + Dr. Liu Yansheng (Kunming Tongren Hospital chief neurosurgeon ) + Dr. Zhu Hui (Kunming Walking Programme founder) + Dr. Wu Wutian, M.D., Ph.D. (Hong Kong University Professor of Neuroscience) + Dr. Xu Xiao-Ming, M.D., Ph.D. (Indiana University Professor of Neurological Surgery). On a final note, I would not have been able to write this blog entry without my Dad. Well, let’s be frank, I would not be in Kunming if it were not for my Dad. My Dad’s energy is far greater than any young person I’ve ever met and he is simply my hero! 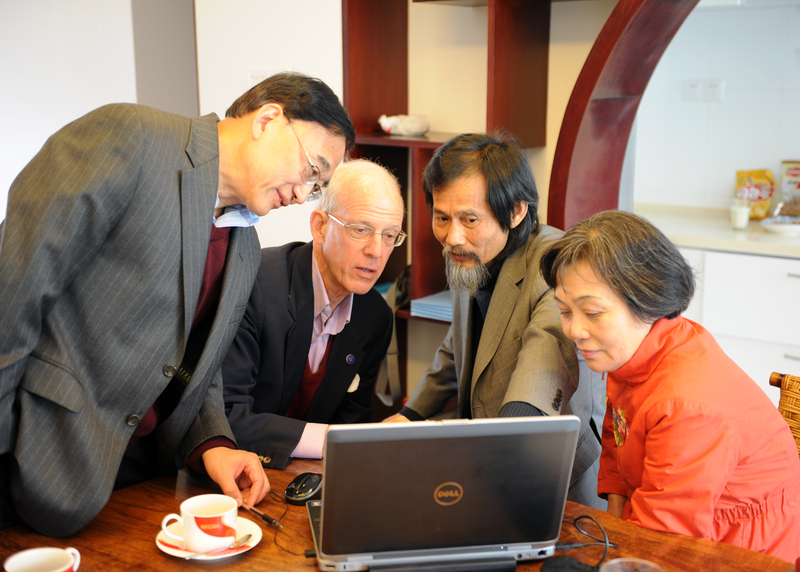 Dr. Xu Xiao-Ming, M.D., Ph.D. from Indiana University & Dr. Wu Wutian, M.D., Ph.D. from Hong Kong University with Dr. Zhu Hui & Dad discussing surgery details. Dad & my good friend Nu Jia. 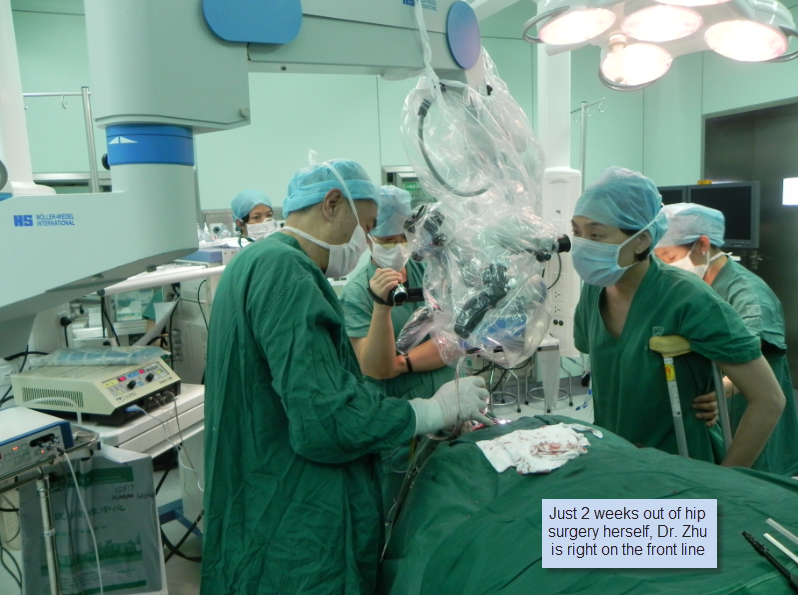 So here’s the story of the surgery, with some unusual illustrations courtesy of one of my physical therapists who routinely photographs and videos major surgical procedures in Kunming. 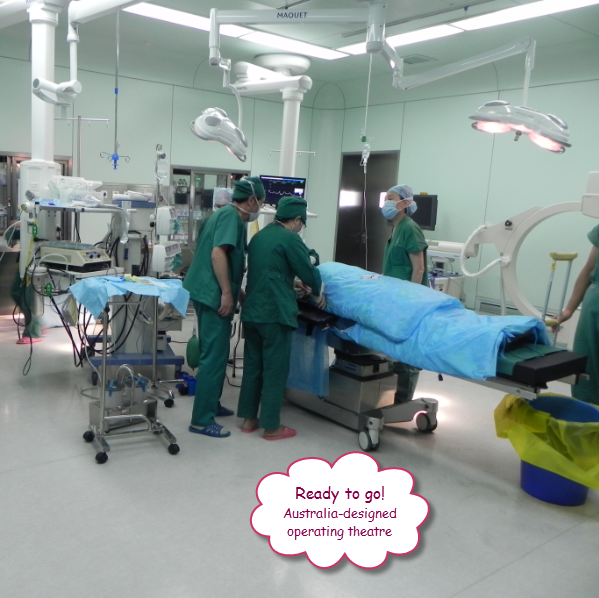 I remember being put in the hospital gown the morning of the surgery and rolling into an ultra modern operating theater that had been designed for Tongren Hospital by Australians. 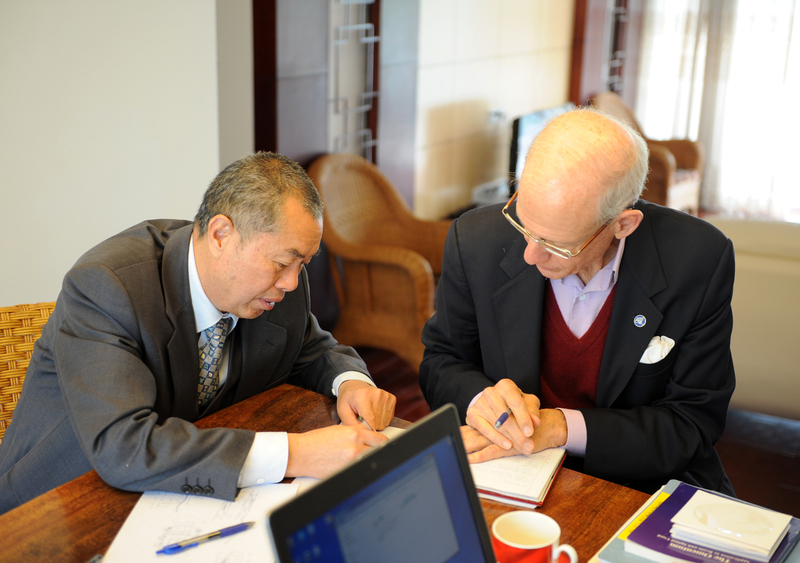 My anesthesiologist, Professor Wu, who is the recently-retired chairman of the Department of Anesthesiology at Kunming Medical University, taught most of the anesthesiologists at the Peoples Liberation Army Hospital as well as in other major hospitals in Southern China. Dr. Wu spoke flawless English, and I attempted to have a conversation with him, but I think his mind was focused on other things as he quickly put a mask over my face, and then I was out like a light. 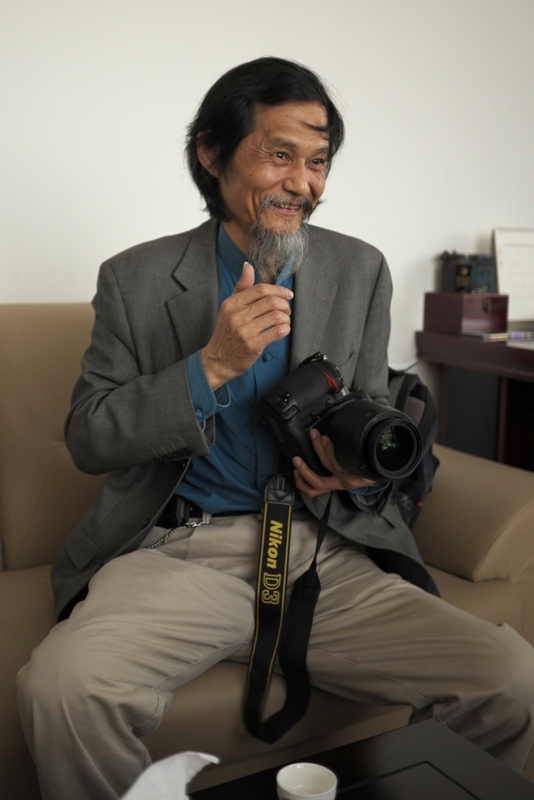 The following photographs were taken by Niu Fang, the physical therapist I mentioned above. This diagram illustrates the numerous layers surrounding the spinal cord. 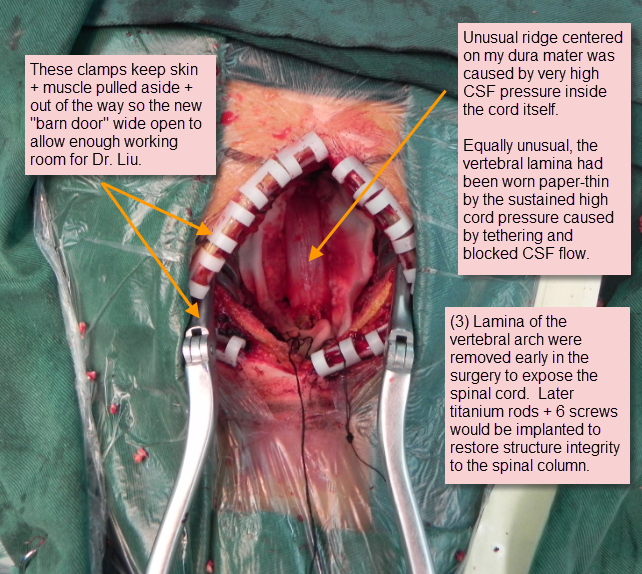 Dr. Liu had to drill away the bone of three vertebral lamina (C-5 through C-7) to gain wide “barn door” access to my spinal cord. Then in order to secure my spinal column at the end of the surgery, Dr. Liu used part of the vertebrae he had cut away, crushed up to make a sort of mortar, to reinforce positioning of the three titanium rods and six screws he used to stabilize my spinal column. On a side note, my brother Mattias had the nerve to ask Dr. Liu if he could please save a small piece of my vertebrae as a keepsake! First a small puncture of the dura mater … and gusher! 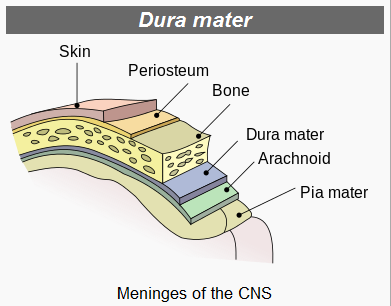 The dura mater is now wide open, exposing the pia mater in order to gain access to the arachnoid cyst on the anterior side of the pia mater, and also revealing 2 small syrinx cysts just inside of the pia mater that were successfully drained. Finally, there were two videos taken during my surgery. I have decided to post these on YouTube because they serve to illustrate a very important outcome of the surgery that could not be seen in a still photograph. In the first video, note carefully that my spinal cord is not moving at all, being literally stuck in place by scar tissue and wedged in tightly by the big (3.5 cm) cyst. Also worth observing is the absence of blood. Dr. Liu is one of the very top neurosurgeons in the world, and his mantra is “no blood” when working on an open spinal cord. On top of the pia mater you can actually see the tiny, delicate blood vessels that supply the spinal cord, and none of these have been nicked. I lost virtually no blood during the entire surgery. It is incredible how Niu Fang captured all this on film … see for yourself!